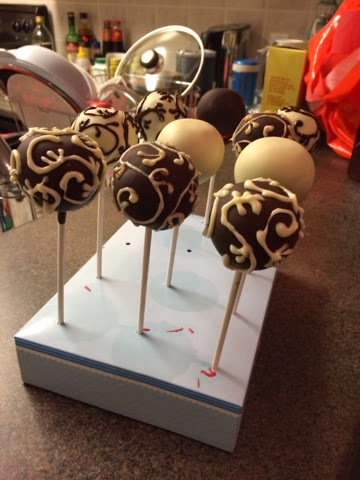 Last week, I made Tiramisu Cake Balls. 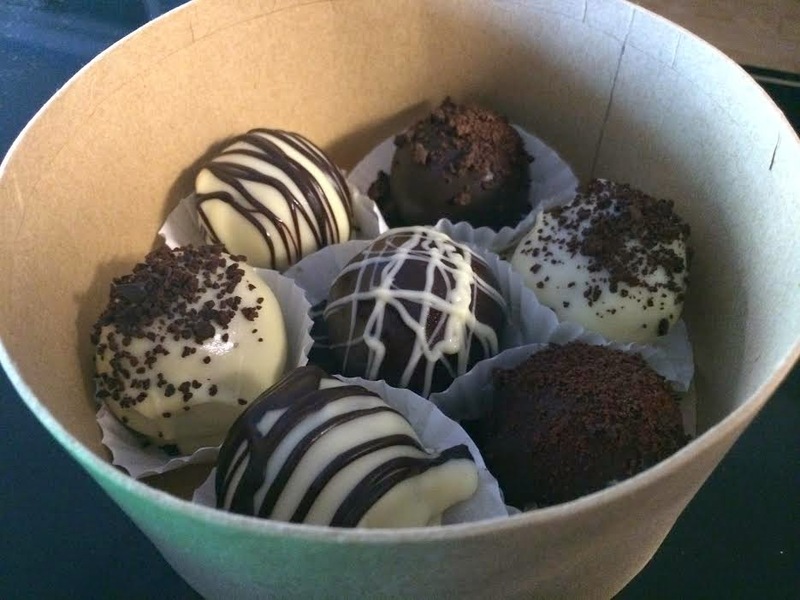 Surprisingly, there aren’t actually a lot of Tiramisu cake balls recipes online when I researched them. There were a few, but I didn’t really like how they were made. A lot of them were mostly regular cake balls with a tiramisu twist. I wanted my cake balls to taste as close as tiramisu as possible. So, I decided to be creative and come up with my own recipe by using just the ingredients for a classic tiramisu recipe (basically, lady fingers, mascarpone, whipped cream, kahula or expresso with rum, chocolate (optional)). What would be more authentic and can taste most like tiramisu than using the actual tiramisu recipe? 1) Using a magic bullet or another type of food processor, ground your Vicenzi and Milano lady fingers into a fine powder. 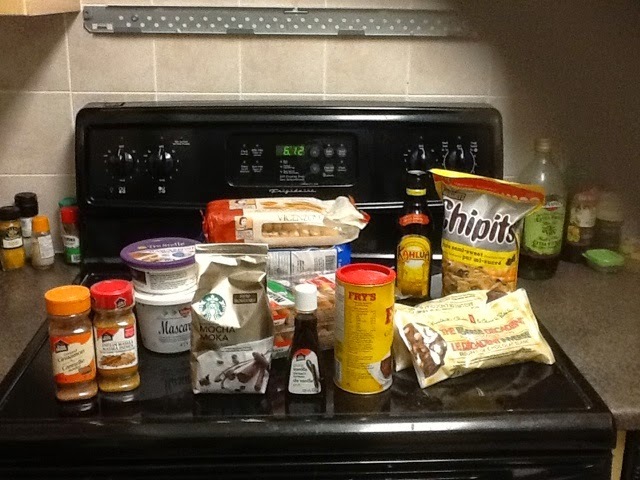 Add the Starbucks coffee grounds into the mixture and set aside. 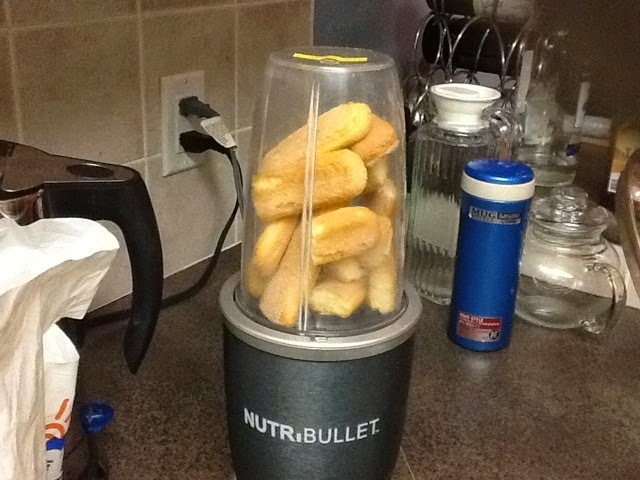 2) Mix the mascarpone cheese and kahula together in your magic bullet. 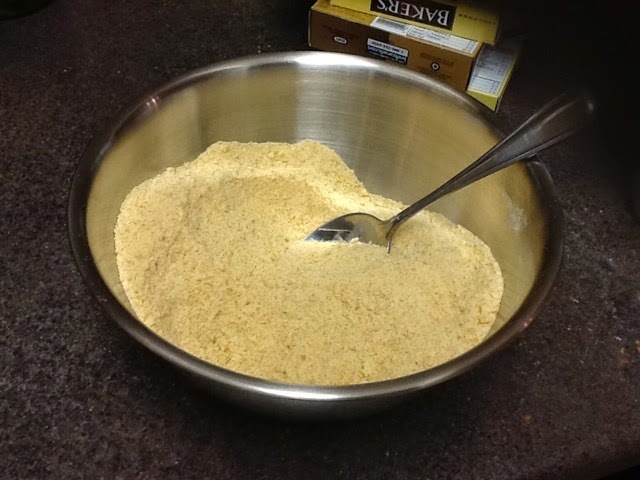 Add mixture to the lady fingers powder. 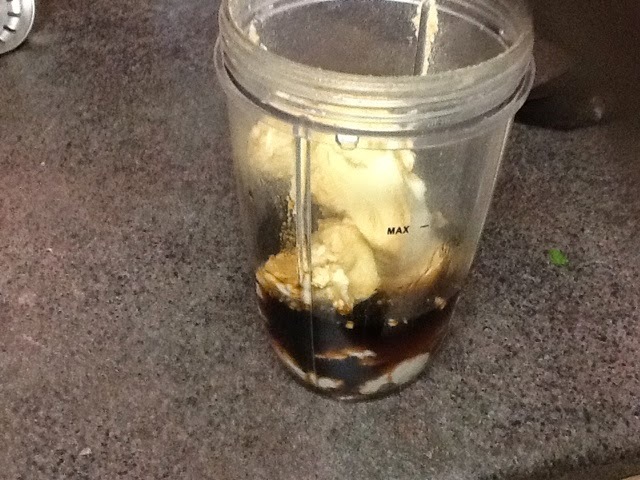 3) Using a mixing spoon first, mix together ingredients. When the ingredients are mixed together, you can start kneading them with your hands until it turns into a dough-like consistency, like so. 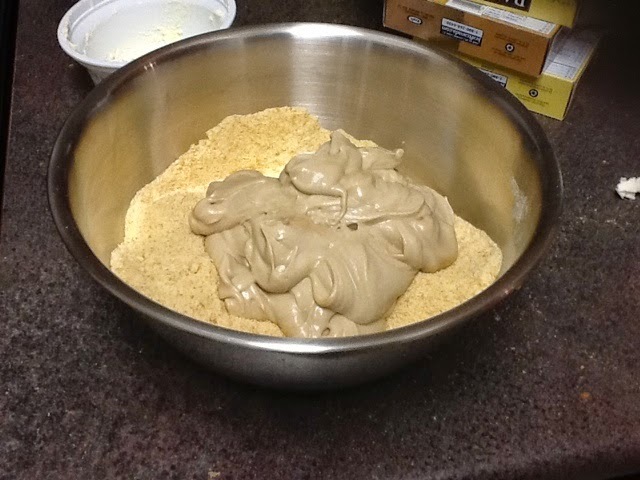 4) Using your hands, break or spoon off chunks and roll them with your hands to make the cake ball. 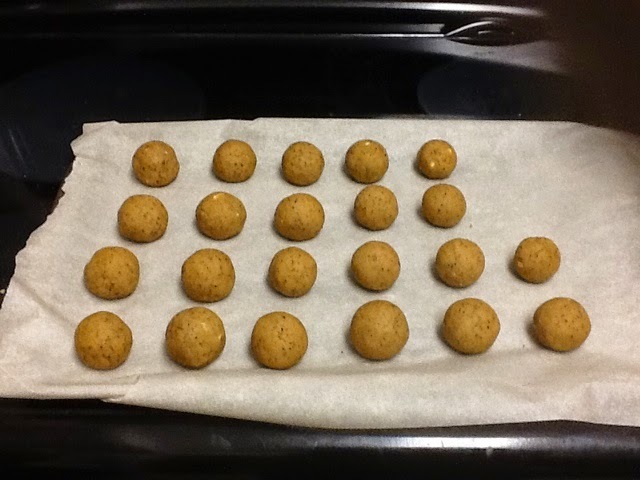 Set them aside in a pan covered with parchement paper (this is important so that the cake balls can be removed without running or sticking later on). 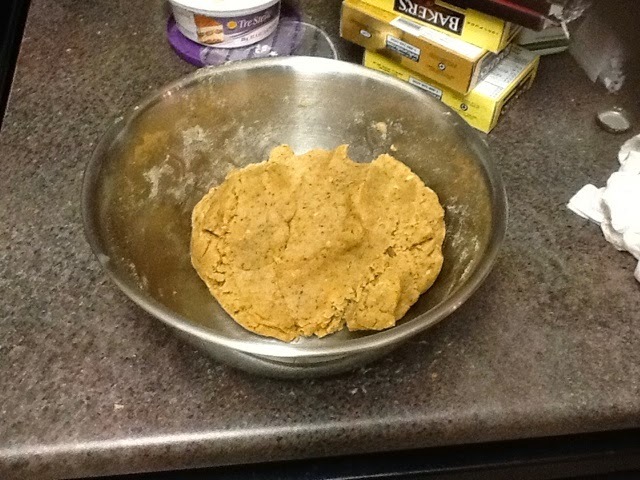 Put them in the freezer for about 30 minutes to form the shape. During the time when the cake balls were being chilled, I used the opportunity to make the chocolate coating for the cake balls. Typically, you melt the chocolate using either a double boiler or a microwave. As I did not have either, I simply placed a bowl that fit just over a pot and used boiled water to melt the chocolate. It was a bit tougher to handle, but it worked just fine. 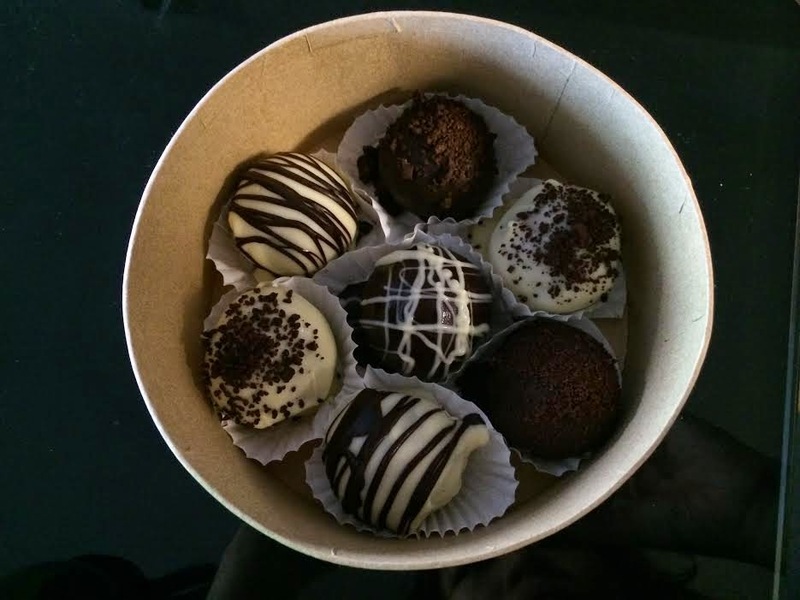 Once the chocolate coating is ready, you can take the cake balls out of the fridge to coat them. 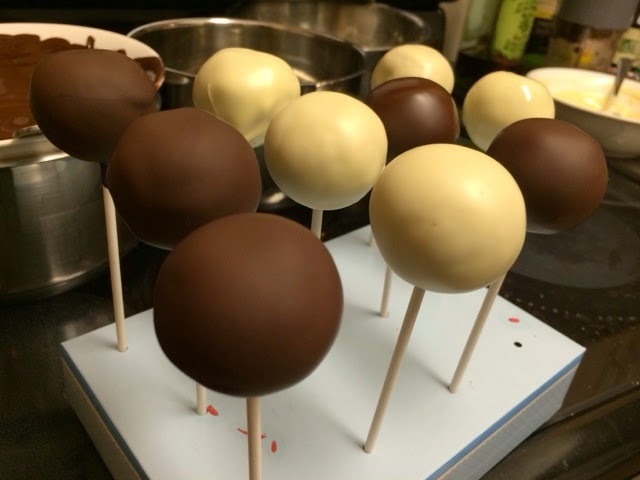 Once they are coated, put them back on the pan with parchement paper (or cake pop stand if you are making cake pops) and put them back in the fridge to chill until the chocolate becomes harden. This part takes about 15-30 minutes. Once they have cooled, you can either leave them as is, or use the remaining chocolate to play around with designs. This part is entirely up to you and you can be as creative as you want. 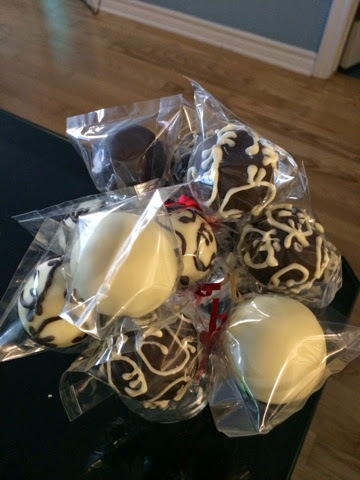 I made but cake balls and cake pops, and experimented with various designs on both. You can also have the option of not even dipping them in the chocolate. 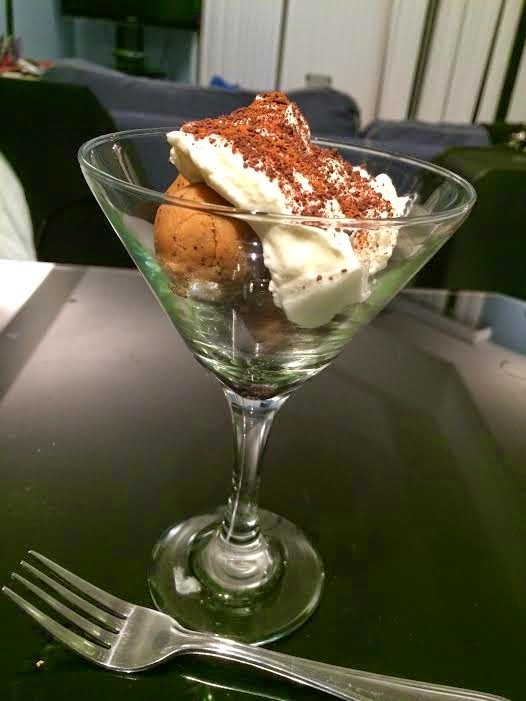 Here, I tried to serve them another way but putting them in a martini glass and toping it off with some homemade whipped cream, cinnamon, and chocolate shaving. They were also quite delicious and fancy as well.